/ What is an affiliate program and how do they work? Attracting regular visitors to your website is one of the most important tasks in growing a subscription based business. This feature takes a look at how creating your own affiliate program can be a highly cost effective way of generating more targeted traffic and ultimately more sales. ​To start we'll define what an affiliate program is, how affiliate programs work and also how current subscription box companies are using use their affiliate programs to drive new monthly sign-ups. ​Then we'll list some of the most popular affiliate networks in the UK and compare them to find the best option to getting your affiliate program up and running. ​What is an affiliate program? ​An affiliate program is an automated tracking system that allows you to reward the people that introduce new customers to your business. Affiliate programs are considered to be the least expensive method of online advertising, because you only pay a commission when a new customer signs up. ​How does an affiliate program work? ​As the business you invite "Affiliates" to join your affiliate program. Each affiliate is then provided with a unique link to your website, the affiliate shares this link with their audience and followers usually in an online review or social media post. The affiliate program monitors these links to track which new customers came from which affiliate. A monthly report can then show how much you owe each affiliate in commission to pay them accordingly. ​For example, lets say Steve runs an online shoe subscription box over at www.steveshoes.co.uk, he has found one of his regular customers, Laura is a keen blogger so he invites her to join our affiliate program and set her commission at £5 per sale. ​Laura then creates a glowing review of Steve's shoes on her blog and posts her unique link to all her readers. In the first month we see that 30 new customers have clicked Laura's link and 10 have signed up, therefore Steve now owes Laura £50 in commission. Laura's very happy with this arrangement and is keen to keep promoting Steve to her audience. Steve's also very happy too as he's gained 10 new customers, which he aims to make into regular monthly customers for the low cost of just £5 each, a much better return on investment than the huge banner/social media advertising he had previously been paying out for. ​This model is proving hugely popular with pretty much all of the successful subscription box services as it effectively allows you to grow an army of bloggers and online influencers actively promoting your brand with no upfront costs. ​One of the best examples of this is from LootCrate who have created a community of LootCrate fans called "Looters" who each month take to social media to show off this months new items to their friends and followers. This is gold dust to LootCrate, who can then concentrate on providing good value and interesting items in their box instead of wasting their budget on gimmicky advertising campaigns that can be hit and miss. Simply having an affiliate program in place doesn't mean that your site will automtaically start attracting new visitors. There's still plenty of planning and work to consider when creating your affiliate marketing strategy. Check out this great infographic for a full 51 point list to help you plan, then read on below to find out how to get your own affiliate program in place. At a very basic level you can create some form of refer-a-friend scheme for very little upfront cost, which allows your existing customers to earn store credits for each friend they refer. Similar to an affiliate program, a referral program encourages your existing customers to endorse you to friends and family with the incentive of money off their next order or a bonus gift. If you have a wordpress site you can simply install a free referral plug-in to help handle this. Most online platforms and shopping carts such as CrateJoy and Shopify will also have these options available for you to enable. Cons : Limited to just your existing customer base, not attractive to other bloggers, a worthwhile addition to all subscription sites but not a scalable affiliate program. A step-up from a refer-a friend scheme is installing some form of affiliate software directly into your website. This will allow you to simply track which customers have been passed to you from which affiliate. Plugins such as AffiliateWP integrate directly into most web platforms and shopping carts to allow you to manage your own affiliate program for around £40 per year. Whilst this is another low cost way of getting started, it does have its limitations. Embedding it into your own website means that any queries on links, conversions and general support with your affiliates will have to be handled by yourself, also you get what you pay for in regards to data reporting and campaign management features. Cons : Possibly time consuming managing yourself, not attractive to high-profile bloggers who often prefer third party affiliate networks for better transparency. Access to affiliates and bloggers who are already members of the network. Customisable reporting to learn more insights. Affiliate management on your behalf. ​In summary, the affiliate networks handle pretty much everything from setting up your program, liaising with affiliates, hosting your banners and promotion material and most importantly tracking every click and source of every visitor to your website to help you monitor and run an effective campaign. ​This level of service does come at a price, with many of the best affiliate networks charging an initial setup fee, monthly fee and per transaction fee. ​Affiliate Window are one of the Europe's leading affiliate networks with over 2100 advertisers and 75,000 bloggers on-board. Big brands such as John Lewis, ASOS and Curry's use Affiliate Window, plus some the UK's leading subscription box services such as MyGeekBox, ZBox, Tails, Gousto and Pop in a Box. 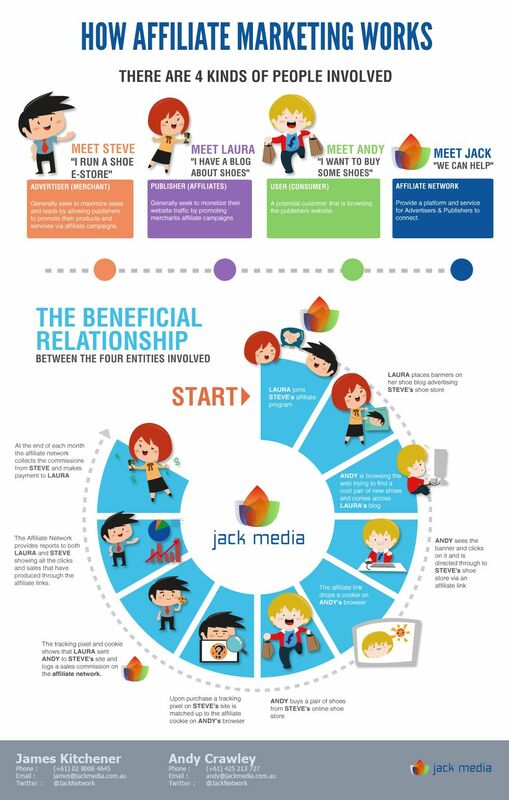 ​Other big established affiliate networks include Impact Radius, Commission Junction, Paid on Results and Link Synergy. ​Pros : Completely managed solution , high level of support, proven success with many existing big brands and feature rich interface for reporting. Cons : Expensive upfront costs, ongoing monthly fees and transaction fees. ​From speaking to many UK based subscription startups the expense of the larger affiliate networks is just too much. Paying upfront for a large setup fee is out of the question, plus a fee for every transaction eats away into already tight margins on each sale. ​With lack of funds most startups are forced down the option of self hosting some form of plugin to track affiliate sales, with mixed results. ​For sometime now we have been researching a better alternative for our startup community that provides a good level of functionality without the huge expense. With huge potential growth on offer, its vital that startups can benefit from a solid affiliate program without being crippled by unrealistic charges. ​As a result, we have recently come across a company called Affilae, an affiliate platform that specialises in supporting subscription based businesses by offering free setup and no transaction fees with just a flexible no commitment monthly free starting from just £49 per month. ​After receiving widespread success across France and Europe, the team at Affilae﻿﻿ are now looking to expand into the UK and are keen to partner up with us to help our subscription startups get up and running with an affordable yet effective platform to run their own affiliate programs. ​To test out the Affilae platform, we invited startups GymCrate and Cocoa & Roast to signup to help us understand how it all works. You can see the results in our full Affilae Review and Case Study here. ​Overall, the early signs from Affilae are excellent and we are really pleased to have partnered up with them to help provide our startups with a cost effective affiliate solution. ​If your interested in getting your own affiliate program up and running then we highly recommend you take advantage of our partnership with Affilae by signing up for the free trial. Now is the perfect time to get onboard as they are very keen to work closely with our community and expand into the UK. Simply mention Subscription Radar when signing up to unlock your extended trail and advanced support, Alex the senior technician at Affilae will then be assigned as your lead contact to get you up and running. ​Once your program is live give us a shout at Subscription Radar and we'll help test your new affiliate program with some extra bonus exposure from our own reviews and influencers. This offer will only be available during the partnership period and we cannot guarantee everyone will have access to this level of support and bonus exposure, so hurry and get your free trial started today.